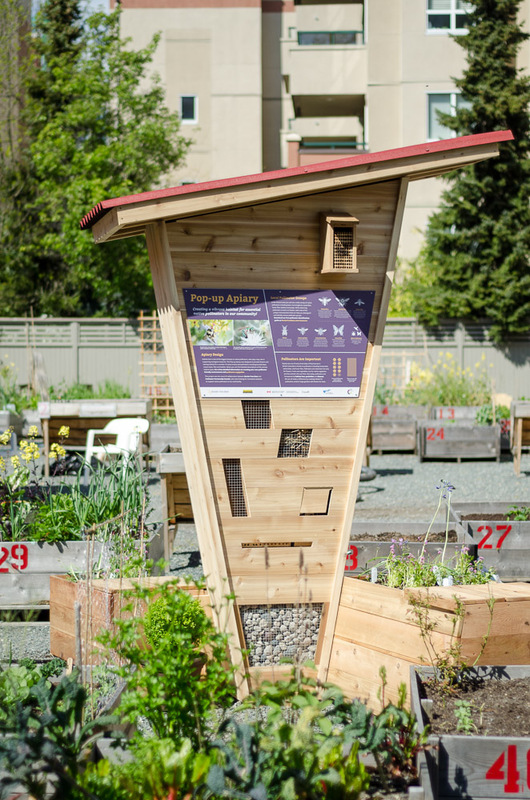 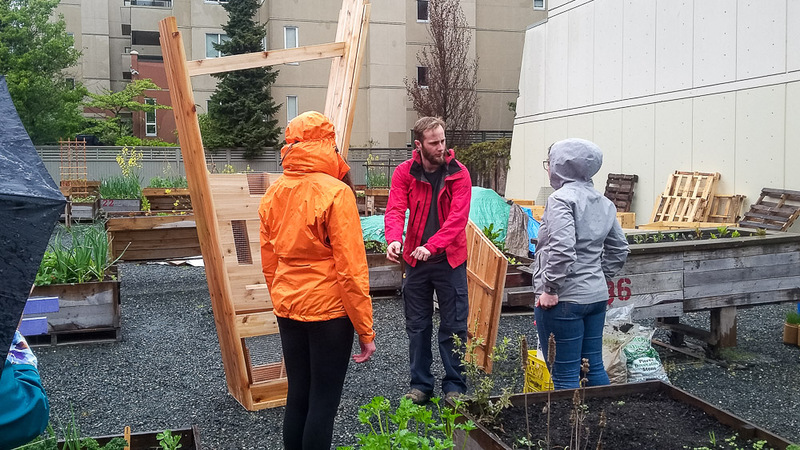 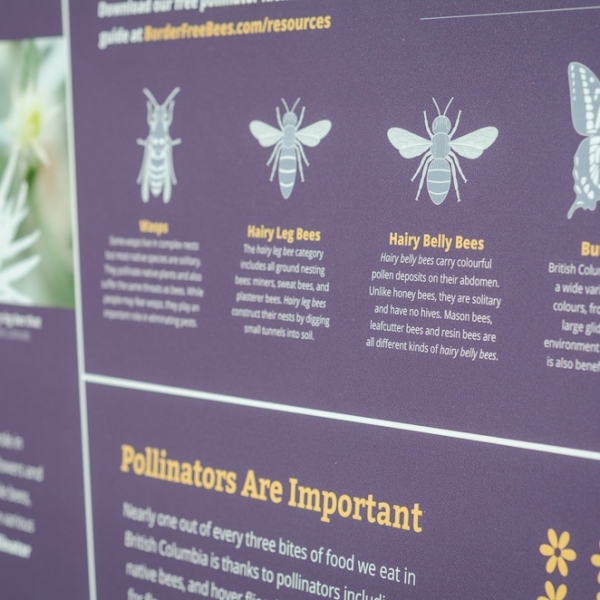 Border Free Bees and the Pollinator Partnership Canada (P2C) teamed up to compete in the 2017 City of Victoria’s Participatory Budgeting Project, resulting in a new apiary sculpture. 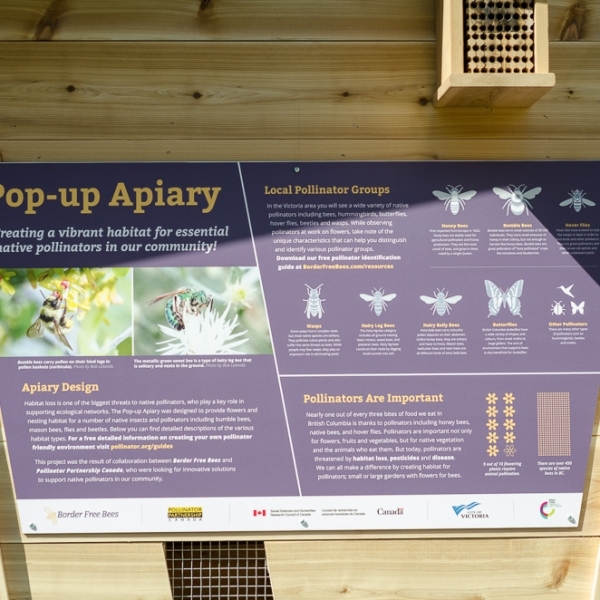 The Par­tic­i­pa­to­ry Bud­get­ing Project had three steps. 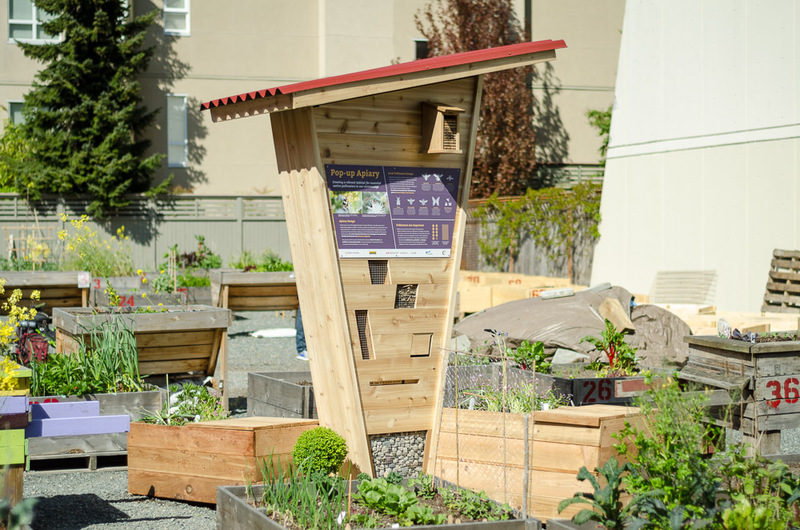 First, indi­vid­u­als sub­mit­ted their pro­pos­als for thought­ful, imple­mentable com­mu­ni­ty-based projects. 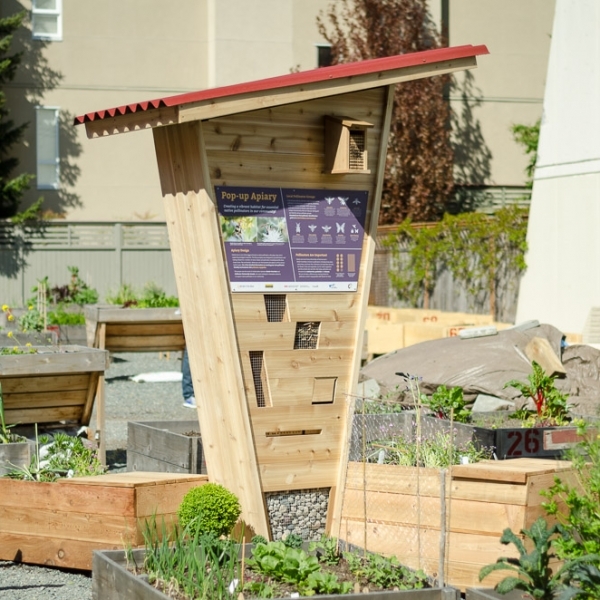 From there, the pro­pos­als were nar­rowed down to eight final­ists, and of those, the pub­lic vot­ed for the top three projects they would like to see become a real­i­ty in their city. 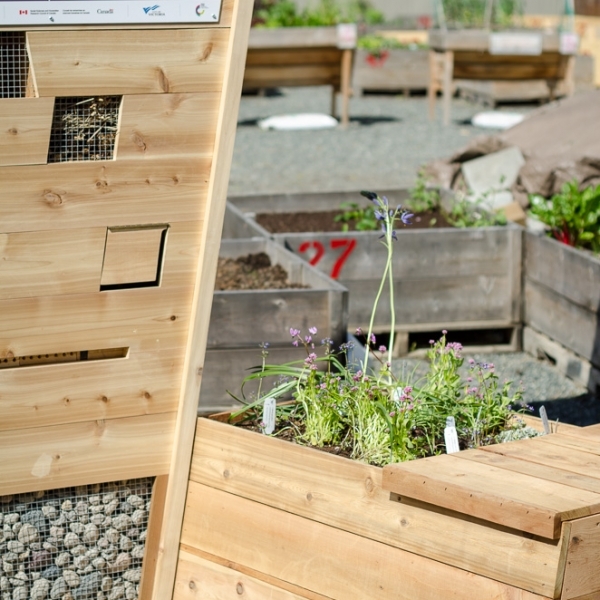 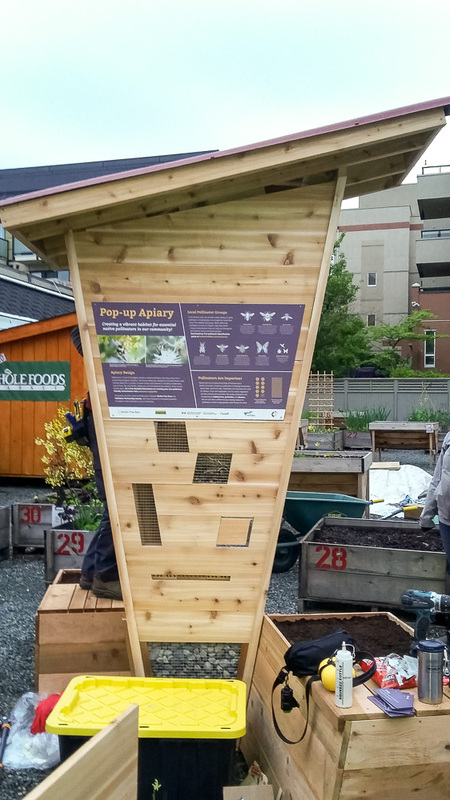 Among the three cho­sen projects was our Urban Alive Pop-Up Native Bee Api­ary. 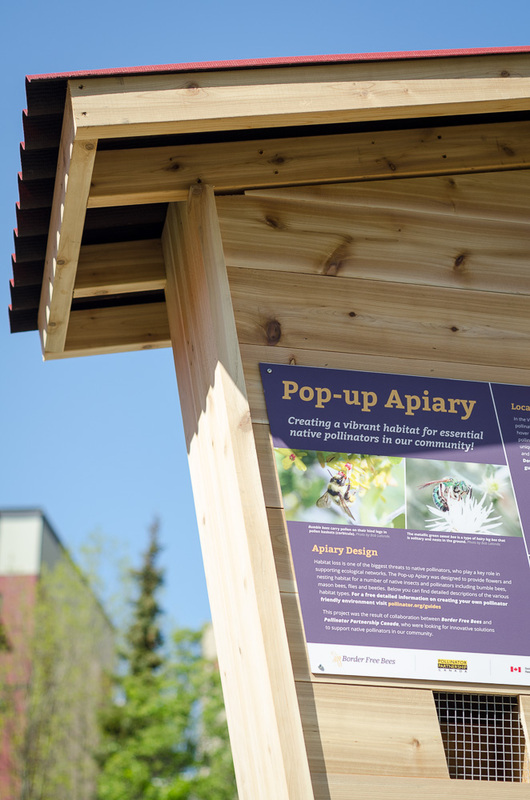 The Urban Alive Pop-Up Native Bee Api­ary is the sixth pub­lic pas­ture project by Bor­der Free Bees. 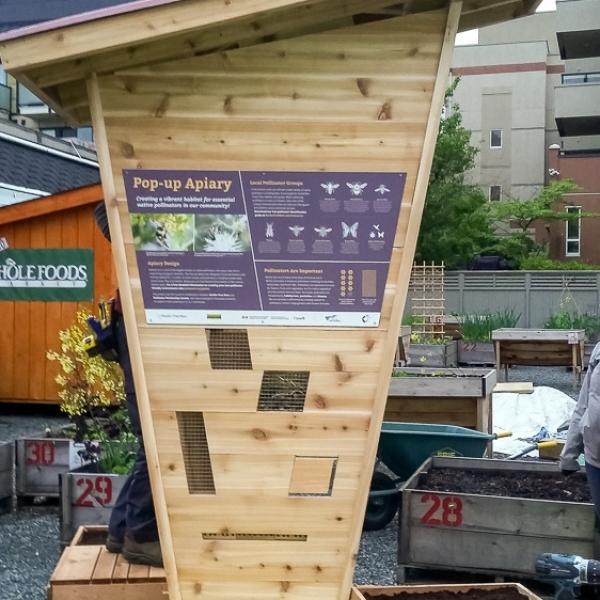 This portable ‘api­ary’ sculp­ture was designed for Bor­der Free Bees by our lead indus­tri­al design­er Evan Hutchin­son. 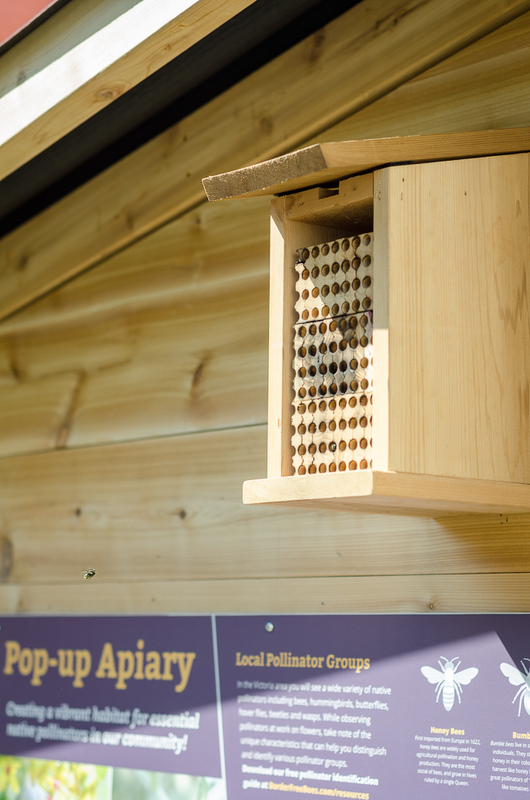 The api­ary pro­vides a home to many types of tun­nel nest­ing native bees by incor­po­rat­ing mul­ti­ple bee home designs and mate­ri­als in a cap­ti­vat­ing and appeal­ing way. 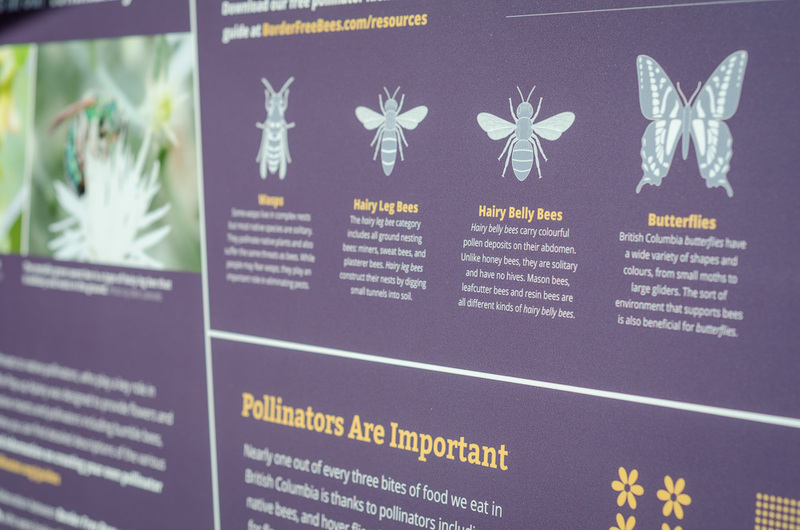 The api­ary fea­tures infor­ma­tion on bees, pol­li­na­tion and food secu­ri­ty. 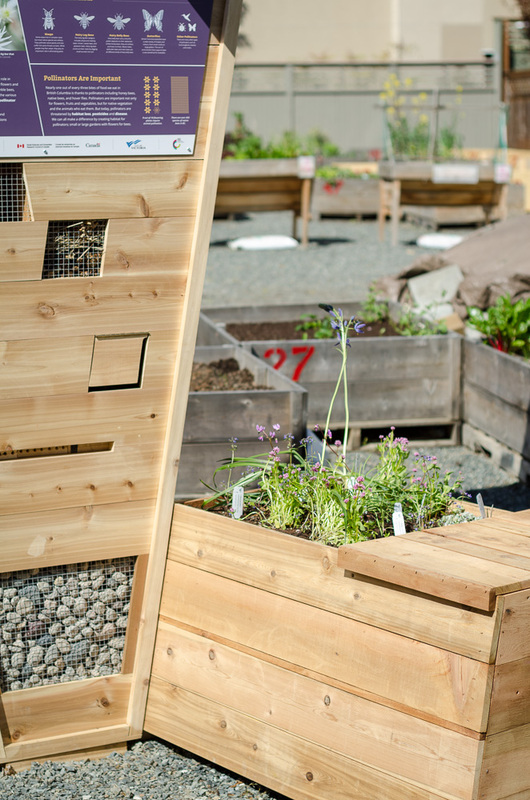 The instal­la­tion is unique and wel­com­ing; a portable design that can be brought to new loca­tions each year. 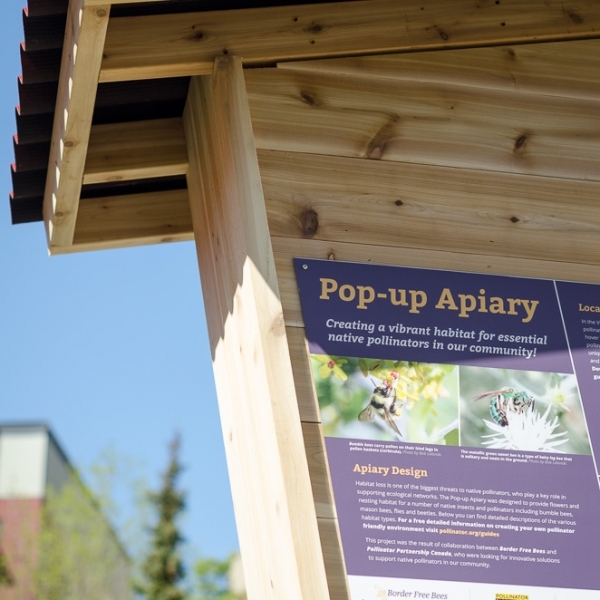 The api­ary is cur­rent­ly installed in the Yates Street Com­mu­ni­ty Gar­den. 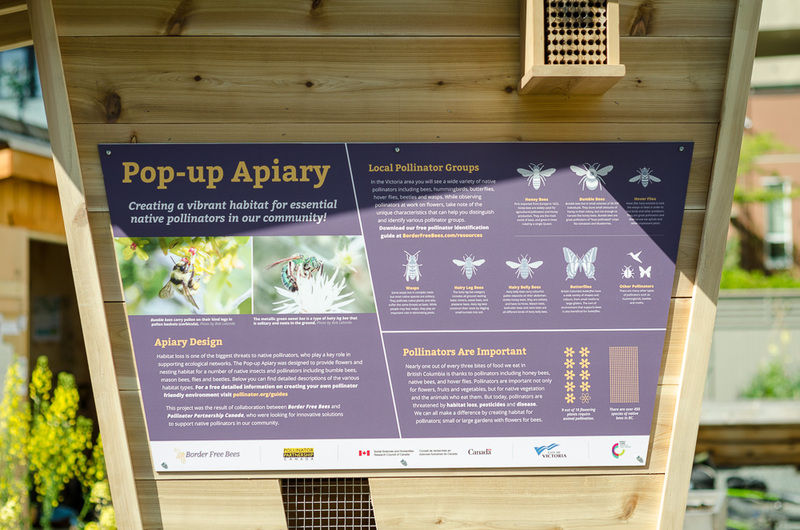 A fur­ther inten­tion of the Urban Alive Pop-Up Native Bee Api­ary is to fos­ter com­mu­ni­ty par­tic­i­pa­tion in man­ag­ing and mon­i­tor­ing native bees. 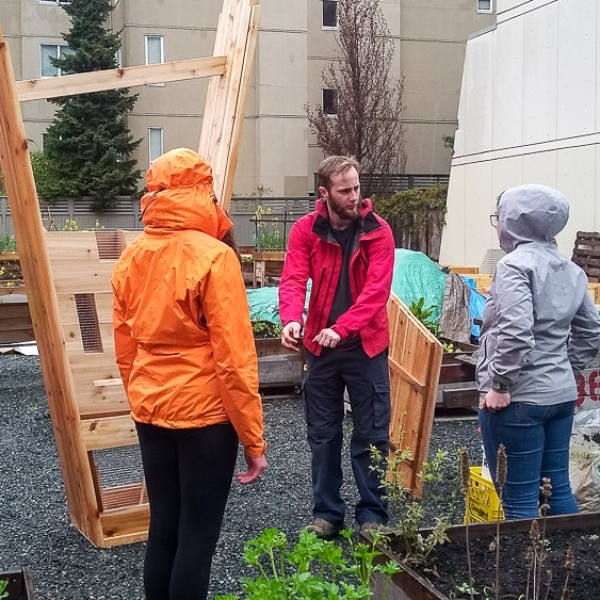 Pub­lic edu­ca­tion days at the api­ary, led by P2C’s West­ern Cana­da Pro­gram Man­ag­er, Dr. Lora Morandin fea­ture dis­cus­sion and hands on activ­i­ties. 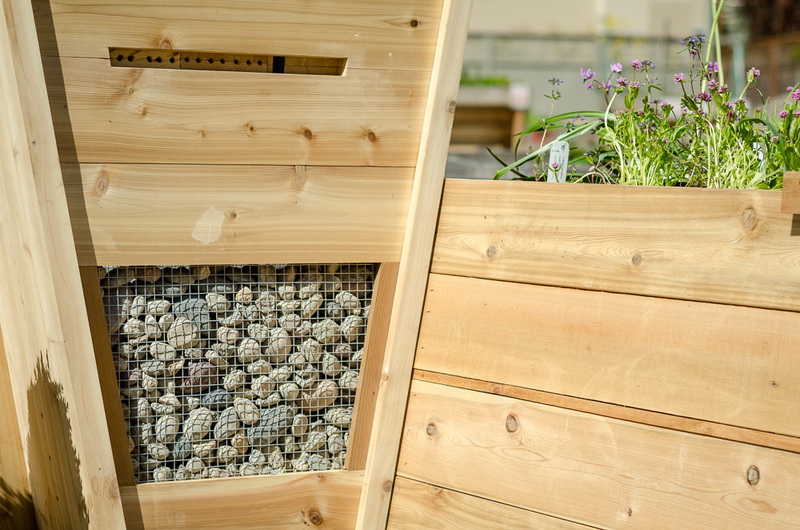 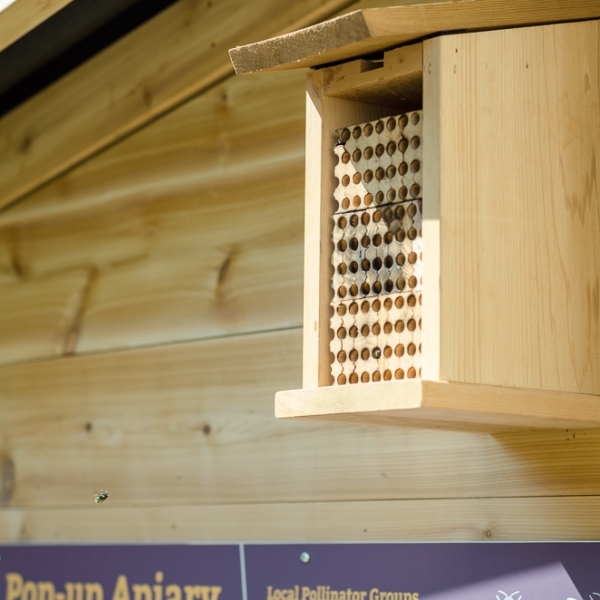 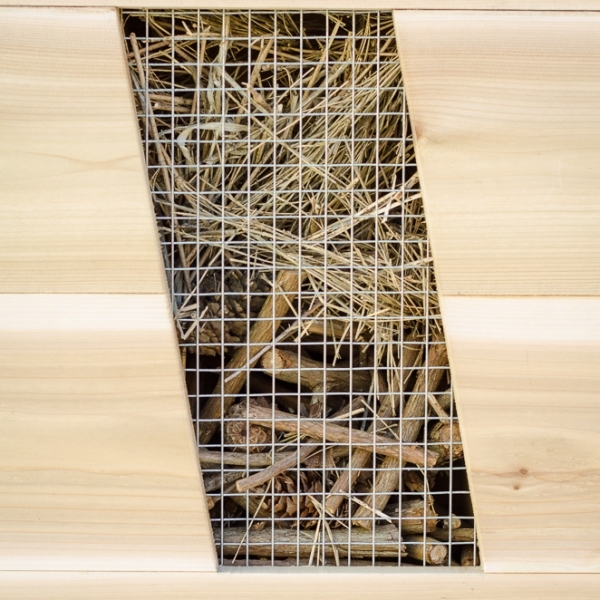 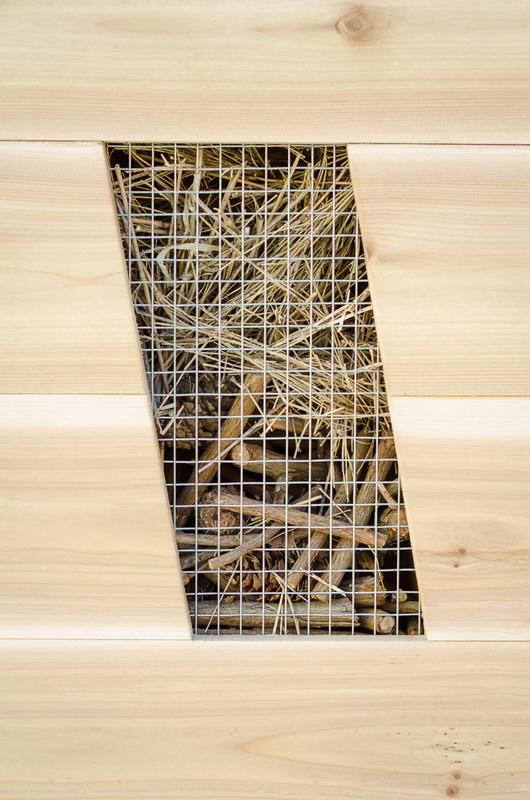 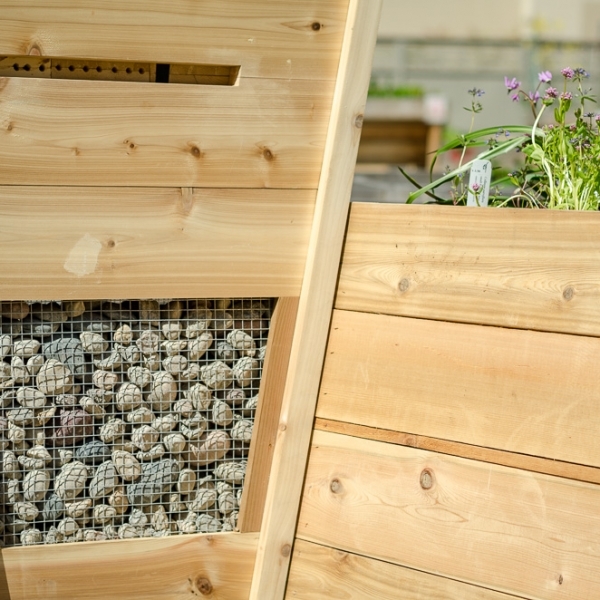 The instal­la­tion pro­vides an edu­ca­tion­al place for chil­dren and adults, and the native bees will help to pol­li­nate urban gar­dens. 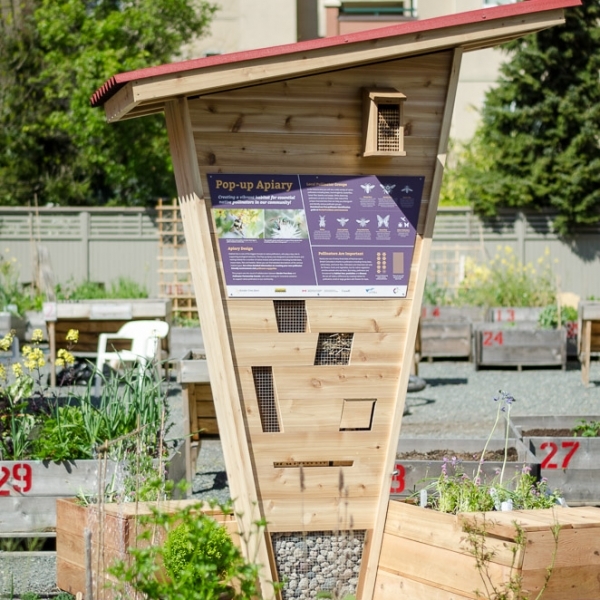 It is a sanc­tu­ary in the city where all can con­nect with nature. 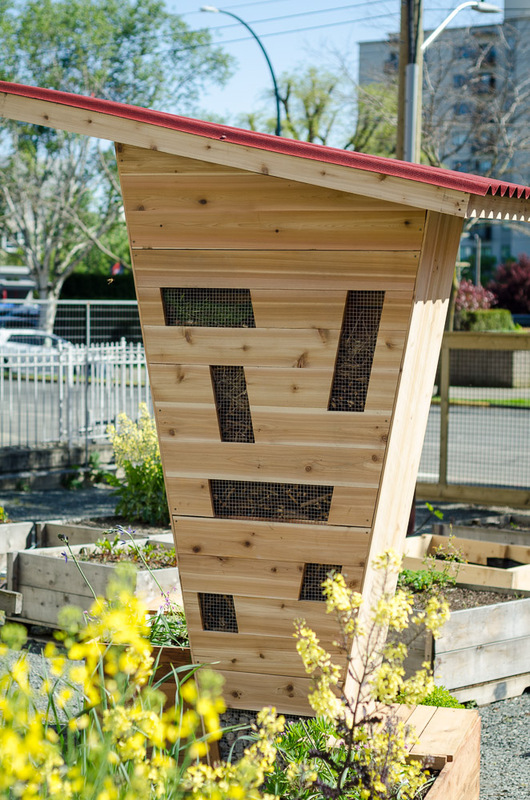 The Urban Alive Pop-Up Native Bee Api­ary was award­ed $11,500 for its imple­men­ta­tion. 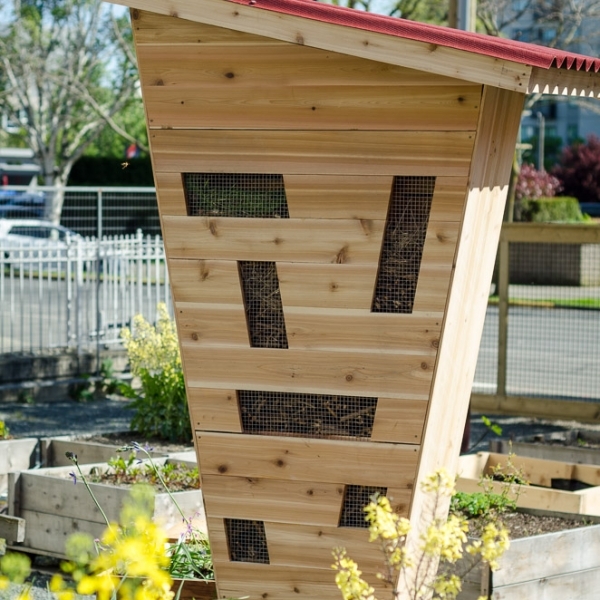 This fan­tas­tic fusion of art, design, sci­ence and envi­ron­men­tal­ism will serve Van­cou­ver Island com­mu­ni­ties for years to come.